The oldest Presbyterian congregation in North America, received in 1802, in response to a petition signed by 148 persons the present Church site granted by George III, although it was not until 1809 that construction began. 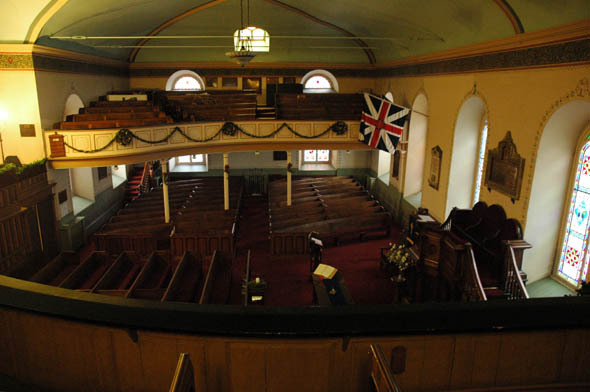 The Church was dedicated on November 30th, 1810, on St. Andrew’s day. The building remains virtually unchanged but for the addition of the Vestry in 1900. 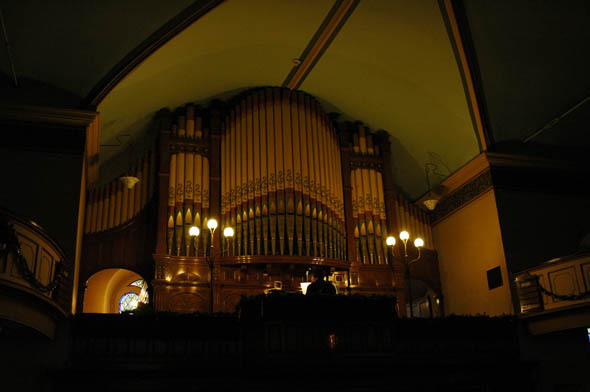 Its interior layout, though carried out according to a then common European style, is rarely seen in other Canadian churches and therefore distinguishes this church from other places of worship. 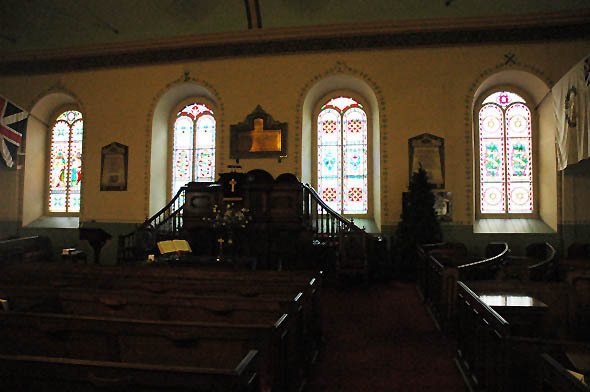 Its originality lies in a long front wall, in a raised pulpit that stands at the centre of the building, as well as in the pews that are placed to form a semi-circle. Two flags are on display, reproductions of the 78th Fraser Highlanders’ regimental colours and of the King’s colours (a regimental emblem representing the Crown).